Don’t skip the overnight soak thinking you can just simmer the soup for an hour. I tried that the first time. No dice. Even following the recipe, you may want to simmer the mushrooms for another ten minutes after slicing if you prefer them softer. Place mushrooms and water in a pot. Cover overnight. Add garlic, ginger, salt and pepper. Place on high heat until a boil is reached. Reduce to simmer for twenty minutes. Remove from heat. 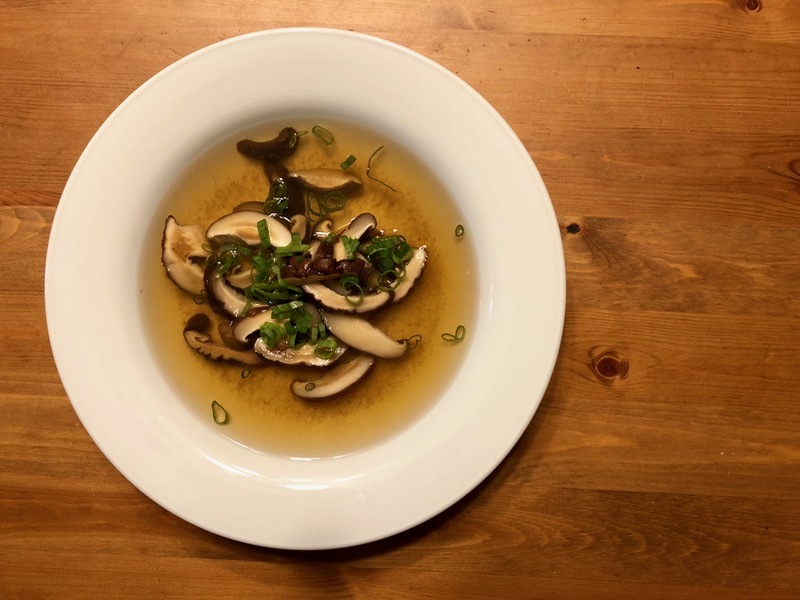 Thinly slice the mushrooms and return to the stock, discarding the garlic and ginger. Serve topped with the green onion.